Leonard and Sheldon are brilliant physicists – geniuses in the laboratory but socially challenged everywhere else. Enter beautiful, street-smart neighbor Penny, who aims to teach them a thing or two about life. Despite their on-again, off-again relationship in the past, Leonard and Penny have finally gotten married. Even Sheldon has found a female companion, entering into a “relationship agreement” with neurobiologist Amy Farrah Fowler, and he recently took their relationship to the next level by proposing marriage. 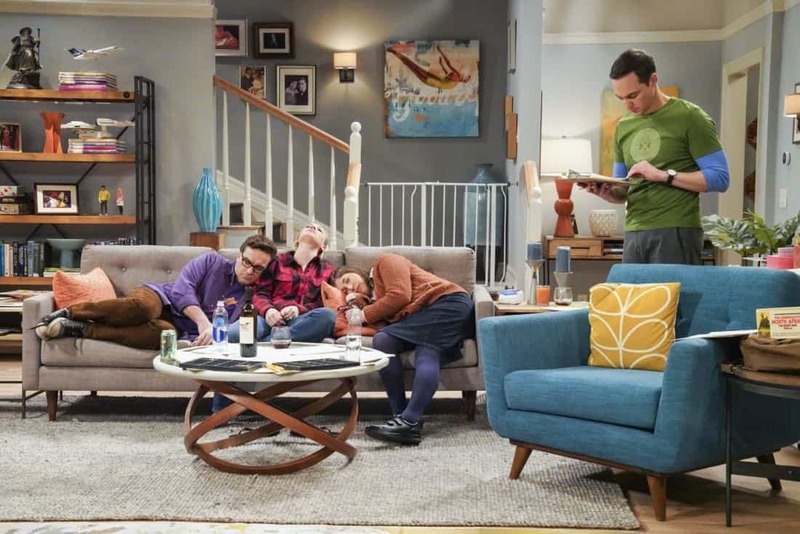 In their free time, Leonard and Sheldon enjoy fantasy role-playing games with their ever-expanding universe of friends, including fellow scientists Koothrappali, Wolowitz and Wolowitz’s adorable microbiologist wife, Bernadette, who is adjusting to life with their new baby girl. 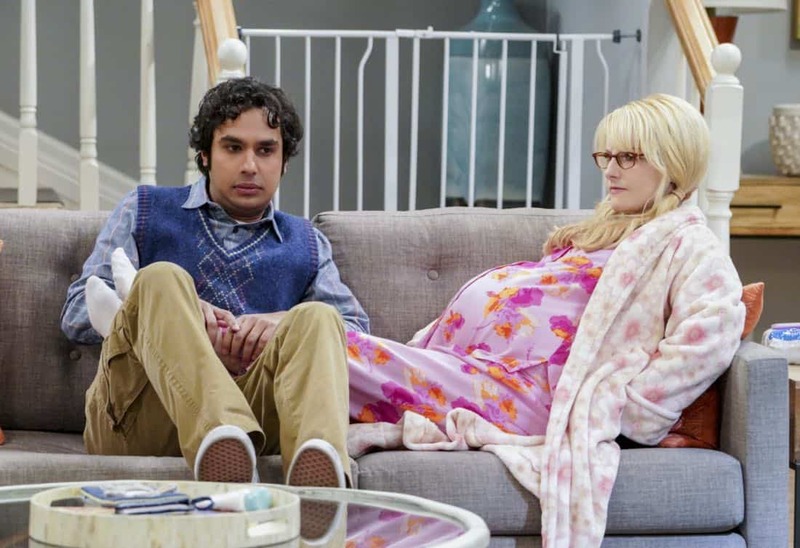 The Neonatal Nomenclature Pictured: Rajesh Koothrappali (Kunal Nayyar) and Bernadette (Melissa Rauch). When Bernadette wonÃÂt go into labor, all her friends try different tactics to get things started. Also, Wolowitz confronts Bernadette after Amy accidentally reveals sheÃÂs already chosen their sonÃÂs name, on THE BIG BANG THEORY, Thursday, March 1 (8:00-8:31 PM, ET/PT), on the CBS Television Network. Photo: Bill Inoshita/CBS ÃÂ©2018 CBS Broadcasting, Inc. All Rights Reserved. 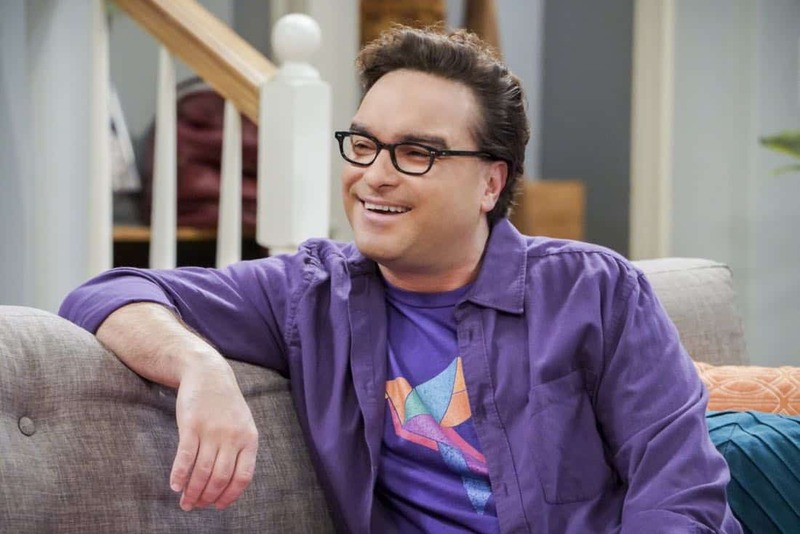 The Neonatal Nomenclature Pictured: Leonard Hofstadter (Johnny Galecki). When Bernadette wonÃÂt go into labor, all her friends try different tactics to get things started. 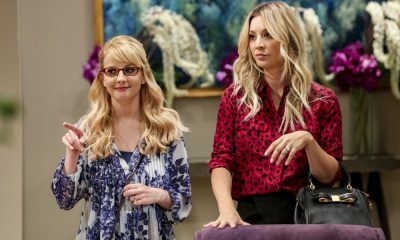 Also, Wolowitz confronts Bernadette after Amy accidentally reveals sheÃÂs already chosen their sonÃÂs name, on THE BIG BANG THEORY, Thursday, March 1 (8:00-8:31 PM, ET/PT), on the CBS Television Network. Photo: Bill Inoshita/CBS ÃÂ©2018 CBS Broadcasting, Inc. All Rights Reserved. 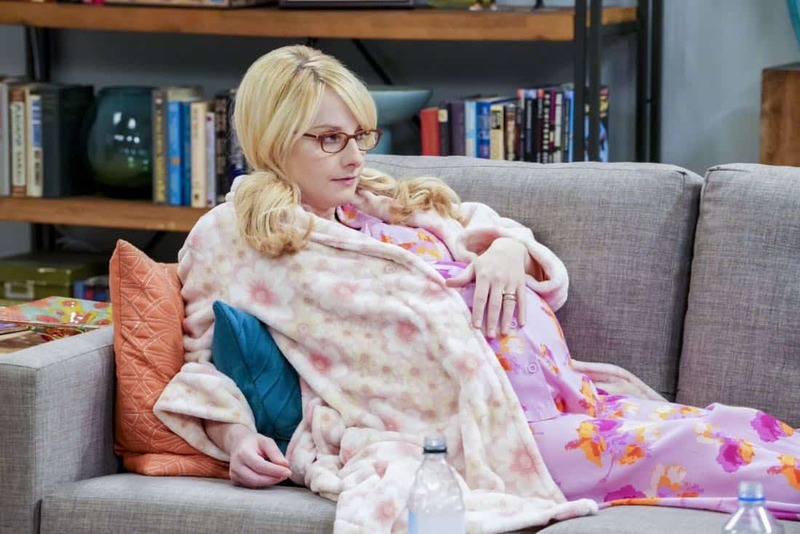 ÃÂThe Neonatal NomenclatureÃÂ ÃÂ Pictured: Bernadette (Melissa Rauch). When Bernadette wonÃÂt go into labor, all her friends try different tactics to get things started. 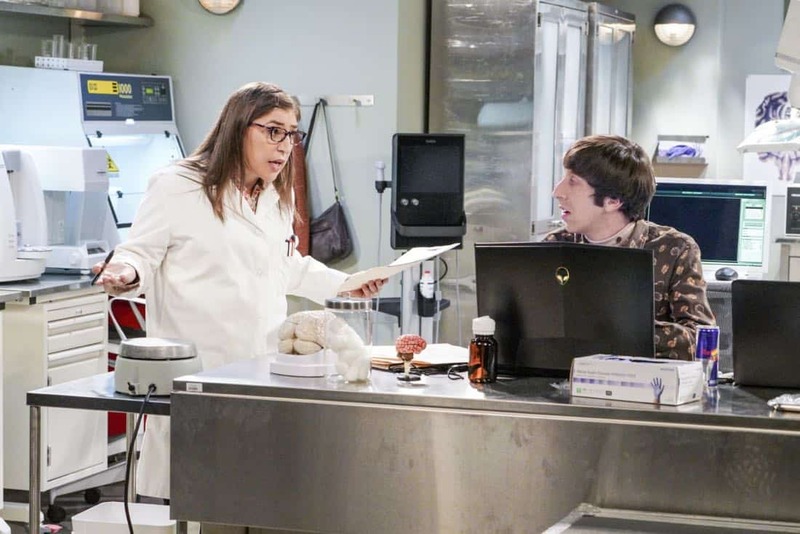 Also, Wolowitz confronts Bernadette after Amy accidentally reveals sheÃÂs already chosen their sonÃÂs name, on THE BIG BANG THEORY, Thursday, March 1 (8:00-8:31 PM, ET/PT), on the CBS Television Network. Photo: Bill Inoshita/CBS ÃÂ©2018 CBS Broadcasting, Inc. All Rights Reserved. ÃÂThe Neonatal NomenclatureÃÂ ÃÂ Pictured: Bernadette (Melissa Rauch) and Leonard Hofstadter (Johnny Galecki). When Bernadette wonÃÂt go into labor, all her friends try different tactics to get things started. 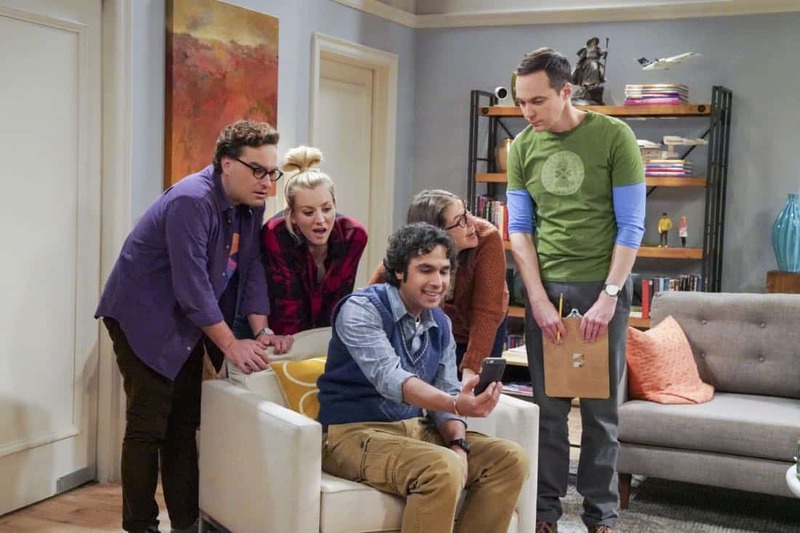 Also, Wolowitz confronts Bernadette after Amy accidentally reveals sheÃÂs already chosen their sonÃÂs name, on THE BIG BANG THEORY, Thursday, March 1 (8:00-8:31 PM, ET/PT), on the CBS Television Network. Photo: Bill Inoshita/CBS ÃÂ©2018 CBS Broadcasting, Inc. All Rights Reserved. ÃÂThe Neonatal NomenclatureÃÂ ÃÂ Pictured: Rajesh Koothrappali (Kunal Nayyar), Leonard Hofstadter (Johnny Galecki), Penny (Kaley Cuoco) and Amy Farrah Fowler (Mayim Bialik). When Bernadette wonÃÂt go into labor, all her friends try different tactics to get things started. 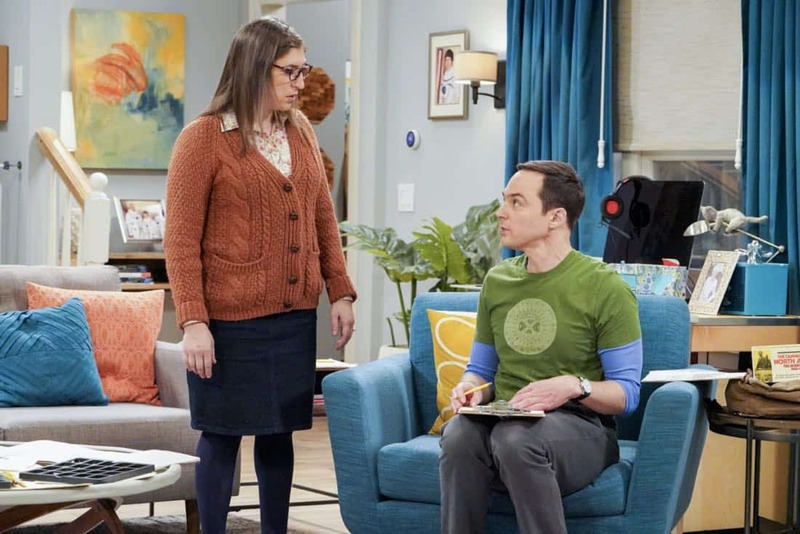 Also, Wolowitz confronts Bernadette after Amy accidentally reveals sheÃÂs already chosen their sonÃÂs name, on THE BIG BANG THEORY, Thursday, March 1 (8:00-8:31 PM, ET/PT), on the CBS Television Network. Photo: Bill Inoshita/CBS ÃÂ©2018 CBS Broadcasting, Inc. All Rights Reserved. 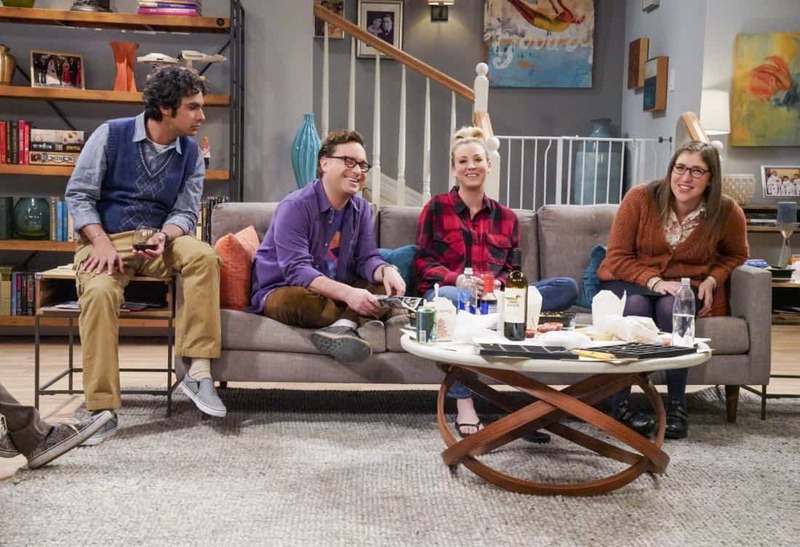 ÃÂThe Neonatal NomenclatureÃÂ ÃÂ Pictured: Bernadette (Melissa Rauch), Howard Wolowitz (Simon Helberg), Rajesh Koothrappali (Kunal Nayyar), Leonard Hofstadter (Johnny Galecki), Penny (Kaley Cuoco) and Amy Farrah Fowler (Mayim Bialik). When Bernadette wonÃÂt go into labor, all her friends try different tactics to get things started. 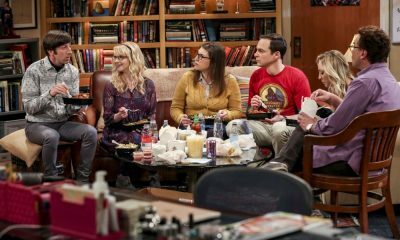 Also, Wolowitz confronts Bernadette after Amy accidentally reveals sheÃÂs already chosen their sonÃÂs name, on THE BIG BANG THEORY, Thursday, March 1 (8:00-8:31 PM, ET/PT), on the CBS Television Network. Photo: Bill Inoshita/CBS ÃÂ©2018 CBS Broadcasting, Inc. All Rights Reserved. ÃÂThe Neonatal NomenclatureÃÂ ÃÂ Pictured: Leonard Hofstadter (Johnny Galecki), Penny (Kaley Cuoco), Amy Farrah Fowler (Mayim Bialik) and Sheldon Cooper (Jim Parsons). When Bernadette wonÃÂt go into labor, all her friends try different tactics to get things started. 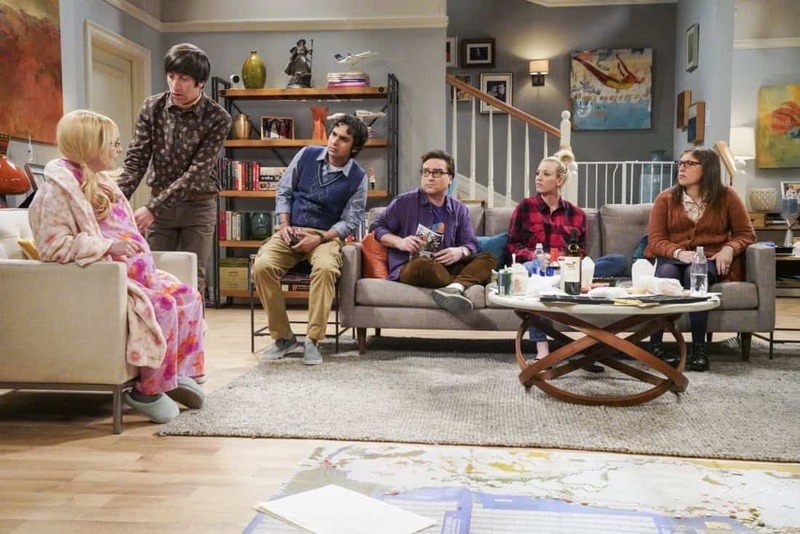 Also, Wolowitz confronts Bernadette after Amy accidentally reveals sheÃÂs already chosen their sonÃÂs name, on THE BIG BANG THEORY, Thursday, March 1 (8:00-8:31 PM, ET/PT), on the CBS Television Network. Photo: Bill Inoshita/CBS ÃÂ©2018 CBS Broadcasting, Inc. All Rights Reserved. ÃÂThe Neonatal NomenclatureÃÂ ÃÂ Pictured: Leonard Hofstadter (Johnny Galecki), Penny (Kaley Cuoco), Rajesh Koothrappali (Kunal Nayyar), Amy Farrah Fowler (Mayim Bialik) and Sheldon Cooper (Jim Parsons). When Bernadette wonÃÂt go into labor, all her friends try different tactics to get things started. Also, Wolowitz confronts Bernadette after Amy accidentally reveals sheÃÂs already chosen their sonÃÂs name, on THE BIG BANG THEORY, Thursday, March 1 (8:00-8:31 PM, ET/PT), on the CBS Television Network. Photo: Bill Inoshita/CBS ÃÂ©2018 CBS Broadcasting, Inc. All Rights Reserved. 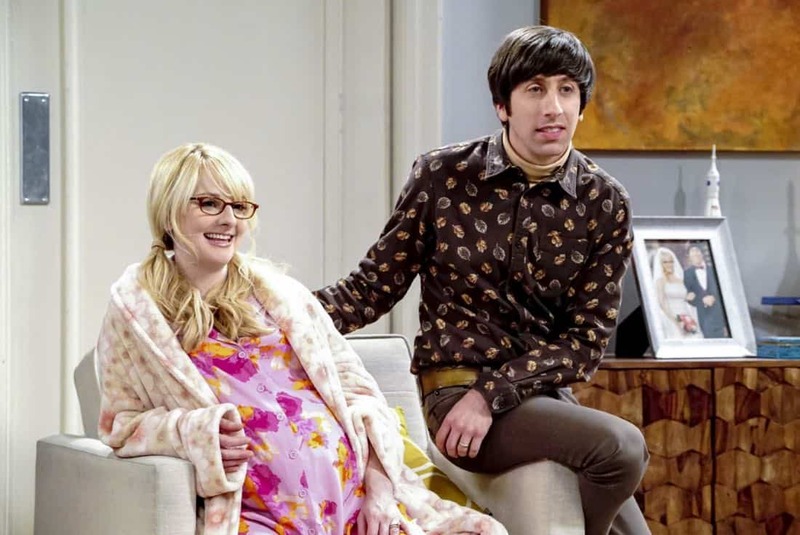 ÃÂThe Neonatal NomenclatureÃÂ ÃÂ Pictured: Bernadette (Melissa Rauch) and Howard Wolowitz (Simon Helberg). When Bernadette wonÃÂt go into labor, all her friends try different tactics to get things started. Also, Wolowitz confronts Bernadette after Amy accidentally reveals sheÃÂs already chosen their sonÃÂs name, on THE BIG BANG THEORY, Thursday, March 1 (8:00-8:31 PM, ET/PT), on the CBS Television Network. Photo: Bill Inoshita/CBS ÃÂ©2018 CBS Broadcasting, Inc. All Rights Reserved. ÃÂThe Neonatal NomenclatureÃÂ ÃÂ Pictured: Amy Farrah Fowler (Mayim Bialik) and Howard Wolowitz (Simon Helberg). When Bernadette wonÃÂt go into labor, all her friends try different tactics to get things started. Also, Wolowitz confronts Bernadette after Amy accidentally reveals sheÃÂs already chosen their sonÃÂs name, on THE BIG BANG THEORY, Thursday, March 1 (8:00-8:31 PM, ET/PT), on the CBS Television Network. Photo: Bill Inoshita/CBS ÃÂ©2018 CBS Broadcasting, Inc. All Rights Reserved. 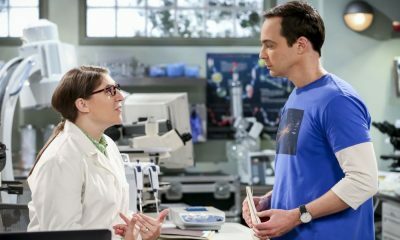 ÃÂThe Neonatal NomenclatureÃÂ ÃÂ Pictured: Amy Farrah Fowler (Mayim Bialik) and Sheldon Cooper (Jim Parsons). When Bernadette wonÃÂt go into labor, all her friends try different tactics to get things started. Also, Wolowitz confronts Bernadette after Amy accidentally reveals sheÃÂs already chosen their sonÃÂs name, on THE BIG BANG THEORY, Thursday, March 1 (8:00-8:31 PM, ET/PT), on the CBS Television Network. Photo: Bill Inoshita/CBS ÃÂ©2018 CBS Broadcasting, Inc. All Rights Reserved.